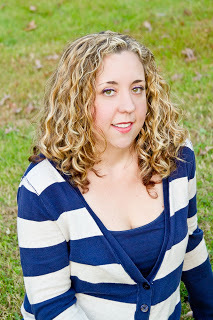 Bittersweet Enchantment: Re-Release Book Blitz: Slumber by Christy Sloat + Giveaway! 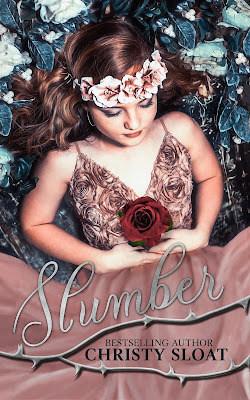 Re-Release Book Blitz: Slumber by Christy Sloat + Giveaway! I am so excited that SLUMBER by Christy Sloat is available now and that I get to share the news! If you haven’t yet heard about this wonderful book by Author Christy Sloat, be sure to check out all the details below. This blitz also includes a giveaway for a finished copy of the book courtesy or Christy. and Rockstar Book Tours. So if you’d like a chance to win, enter in the Rafflecopter at the bottom of this post. I woke in the middle of the night hearing screams fill the air. This was not uncommon at all, but tonight I wasn’t expecting it. Normally when Adele’s meds are changed, she wakes screaming that she can’t sleep. Adele’s room is across from mine. She is roughly in her twenties and I never learned how she ended up here. I try not to talk to the other patients. I don’t know why it is, but I don’t fit in with these people. To them I’m the murderer and they tend to think less of me. That’s fine. I am what they say I am. That’s why I’m here, right? They told me I stabbed my boyfriend, Phillip, but I don’t remember doing it. I actually don’t remember Phillip at all. No recollection of having been in a relationship either. I must have killed him or else I wouldn’t be in Spindle Ridge. Dr. Altman says that I have to believe that I did it or we will never get anywhere. I’ll admit it’s hard to believe that these hands could stab a person twenty times. No matter how I imagined it, it is always hard to believe. I sat up listening hard for the screams. When they came again I noticed they were not female, they were male. The screams were deeper and reached a longer distance than Adele’s cries ever could. I wondered if the whole building could hear him. I pulled my covers up over my neck and covered my face. I just wanted to sleep and fall back into the dream I was having. It was beautiful, and if I had my way, I would stay there forever. I sat up fast. Closing my eyes, I tried to remember the dream to the last second. It wasn’t the same dream as the one’s prior. This dream was different! This dream was me and a boy. I never dreamt of anyone but my parents and the evil woman. The dream’s soft lullaby came back to me as I remembered where I was. The smell of fresh grass came across my senses. The sky so blue as I lay on a blanket. I rolled over and saw the face of a boy. He was everything that Spindle Ridge wasn’t; he was beautiful. He had long, shaggy, but not unruly, hair that touched his collar. When he smiled at me, he looked like a boy in love. In love with me. I opened my eyes and was pulled back into the now. I was forced to leave the dream behind as I was being pulled out of bed by two nurses. 1 winner will win a finished copy of SLUMBER US Only. It sounds like an amazing story. I love the cover. #BoutofBooks Read-a-Thon #21: Goals & Updates!